BidSpotter.eu is a leading online auction website hosting online live and timed auctions for industrial and commercial assets. 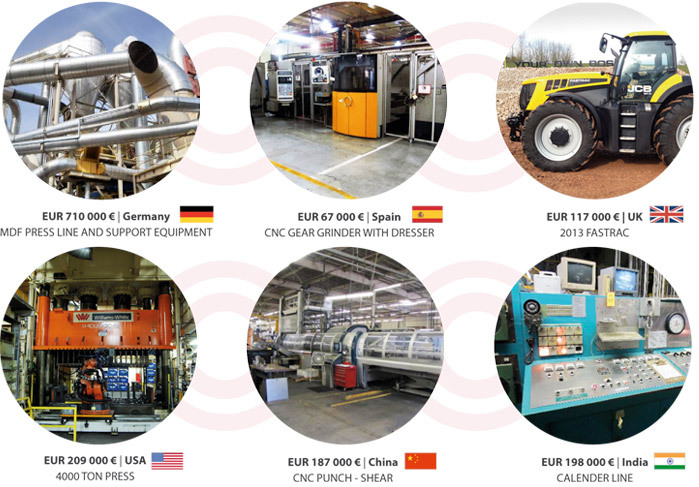 Visitors to BidSpotter.eu can find lots from a wide range of sectors including: agriculture, cars and commercial vehicles; computers and electronics; construction, metalworking and more. BidSpotter.eu is the third and most recent website launched by BidSpotter, which also hosts UK and US based portals BidSpotter.co.uk and BidSpotter.com. Bidspotter Europe will be the home platform for European auctioneers and bidders and is optimised to serve those from Europe, the Middle East and Africa. The addition of a European BidSpotter website gives auctioneers greater flexibility in marketing their assets. Auctioneers can choose the BidSpotter portal which best suits a sale’s location and target buyers by simply ticking a box. Additionally, BidSpotter’s mirrored-bidding technology enables catalogues and online auctions to be hosted on US, UK and EU portals simultaneously. BidSpotter was acquired by Auction Technology Group in 2013 and is a world-leader in industrial online auctions. Auction Technology Group’s websites allow bidders from around the world to browse fully illustrated sale catalogues and place bids over the internet in real time with live audio and video feeds delivering the auction room atmosphere. Bidders are also able to participate in timed, online only auctions. The sites have exceptional brand recognition - 80% of visitors to ATG's websites visit because they know the brand or they find the brand via organic search. In the past 12 months the sites have sold 1.3m lots totalling in excess of €330m online. A team of 50 highly trained specialists in London and Seattle offices provide world class 24/7 customer support. Europe's leading website for fine art and antiques auctions providing a complete range of online services for buyers and sellers. ATG’s award winning technology powers lot-tissimo.com (Germany's foremost fine art and antiques auction portal) and Spink Live (the world's oldest auctioneer and antique dealer).